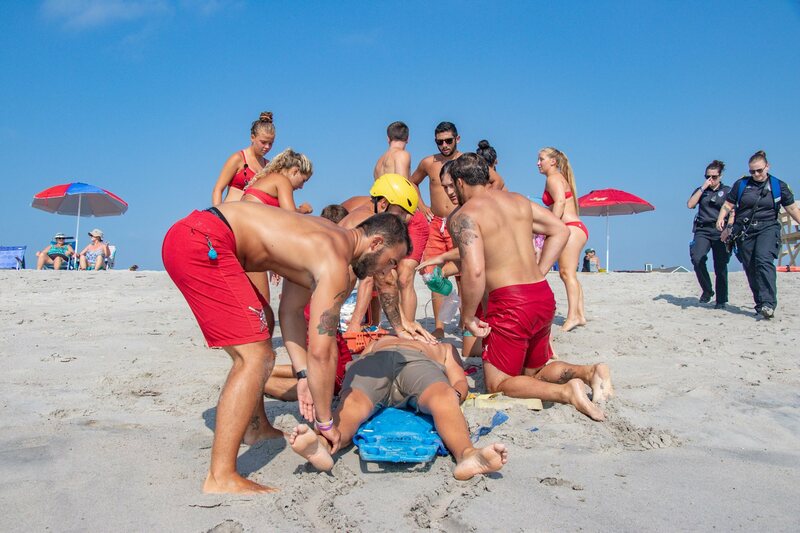 Lifeguards have a lot on their collective plate during the summer season – from dramatic rescues, to keeping an eye on rip currents, to lending a hand (and perhaps a bandage) to someone who steps on a sharp shell. 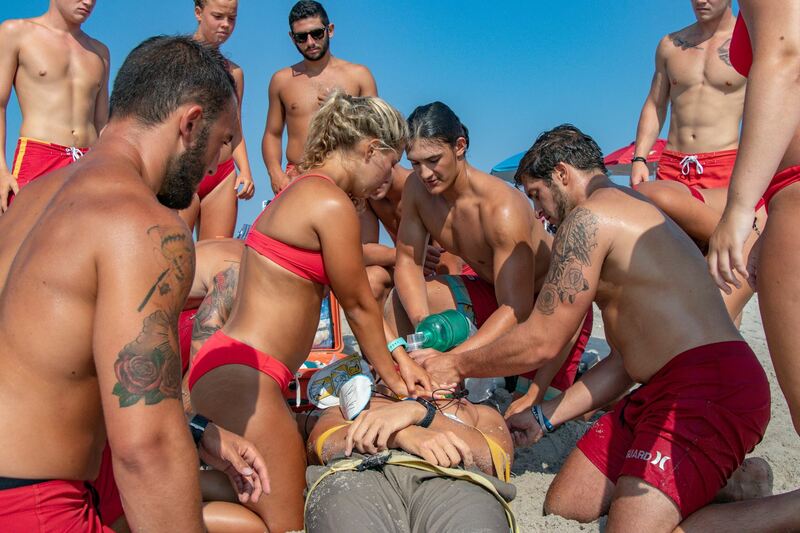 But in Brick, lifeguards this week trained for an even more complicated, and potentially deadly, incident. 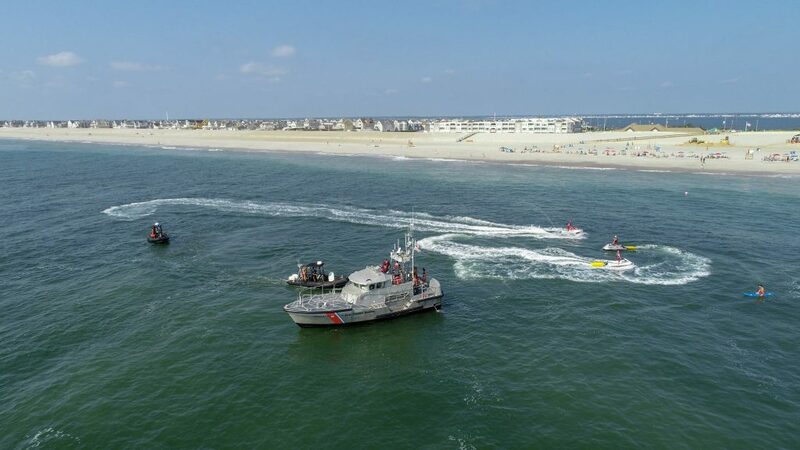 Alongside members of the U.S. Coast Guard and officers with the state and Brick police, plus EMTs and the Ocean County Sheriff’s Department marine division, the guards simulated how they may have to react to a boating accident near the shore. The training exercise came just weeks after a tugboat washed ashore just two miles away in Lavallette; fortunately, no one was hurt in that incident. 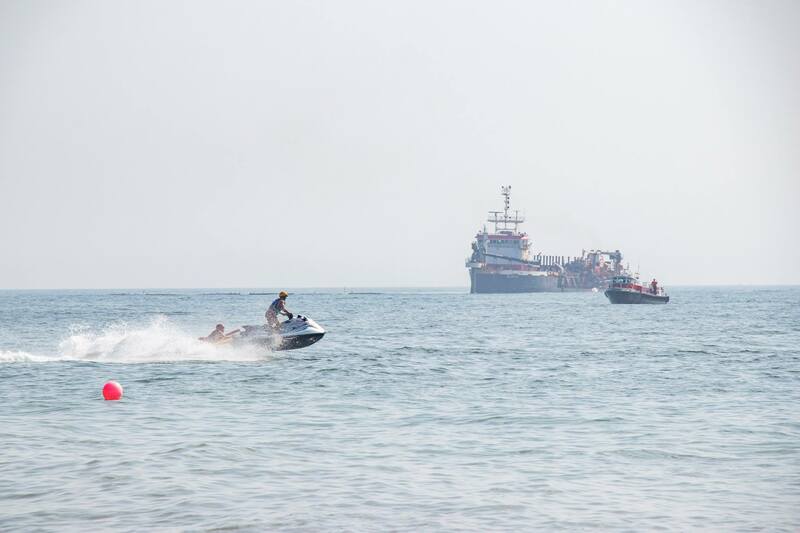 Lifeguards in Brick have access to jet-skis that they can use to bring victims back to shore, where they would utilize their CPR and first aid skills to help an accident victim. “In this case, [the accident] was off the beach, so we would probably be the first on scene and the backup would come from inland,” said Hudson. 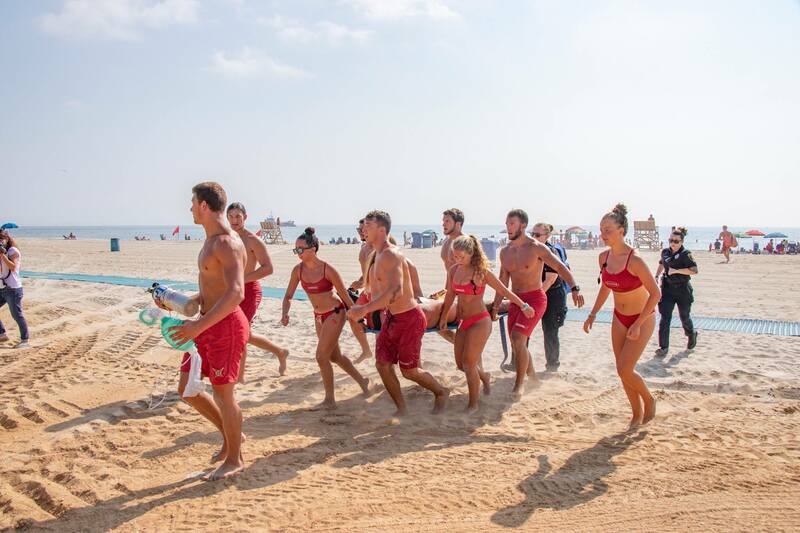 In the past, she said, guards have been called out to help with incidents on Barnegat Bay, and the lifeguard squad always has its emergency radios tuned to frequencies where they might learn about a situation where they could provide assistance. 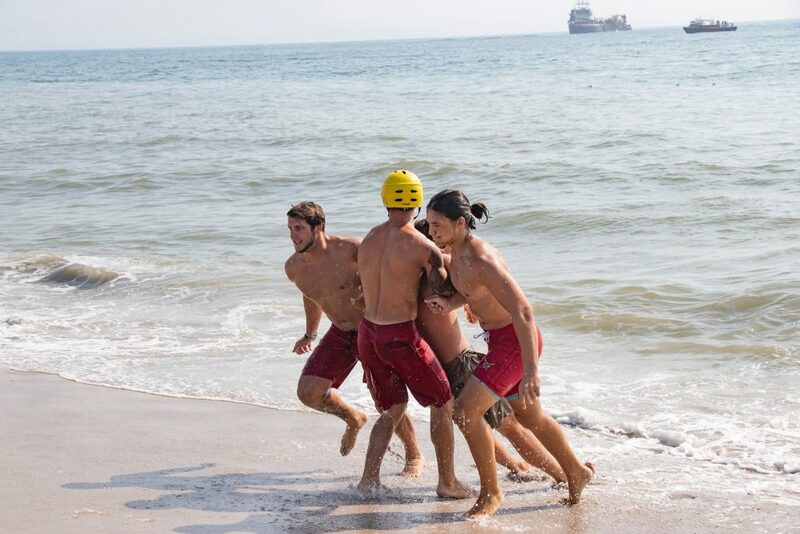 In this week’s drill, guards brought the victims of the boat accident to shore, hoisted them onto a backboard stretcher and kept them alive until Brick Police EMS arrived with a four wheel drive ambulance. The simulation went well, and will allow the guards to perfect their response in case the real thing ever occurs. Just two days ago, Brick lifeguards saw an emergency flare go up from one of the boats working on the beach replenishment project in the northern section of town. Two guards took jet-skis out to make sure workers on the boats were okay, Hudson said, and fortunately it was a false alarm. The guards’ main mission, of course, is keeping swimmers safe. Hudson said it has been a busy season.